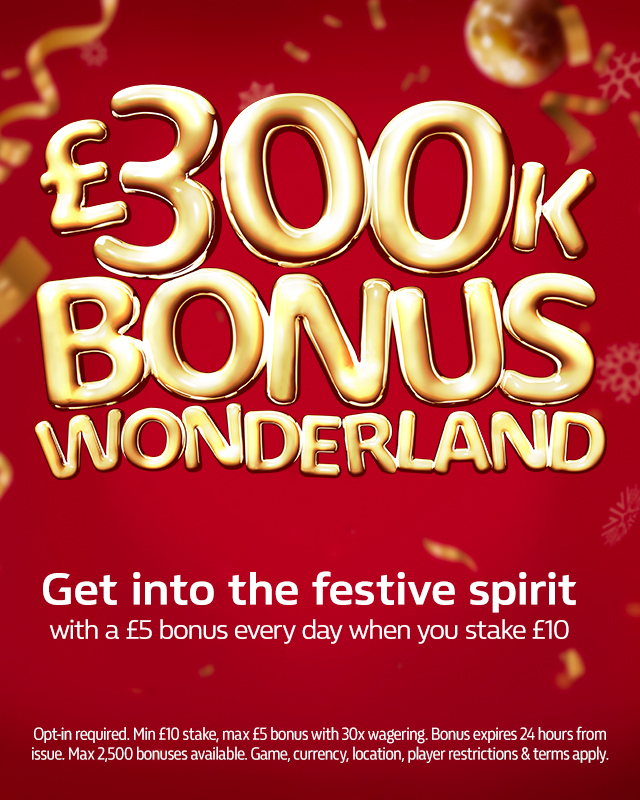 To get the festive celebrations underway, William Hill Bingo are giving away £300,000 worth of bonuses from 7th December until the 27th December in what has been duly dubbed as the £300k Bonus Wonderland. That’s right, great slot bonuses are being offered for 20 days leading up to Christmas with fantastic offers for all Bingo players, so listen carefully. William Hill Bingo is giving away £5 to the first 2,500 customers who stake £10 on slots – every single day. And what’s more, on Christmas Eve, Christmas Day and Boxing Day, that bonus will increase to the first 5,000 customers. Click here to create a William Hill account; we’re offering new customers £30 in free bets when you bet £10. Come walk into a Bingo Bonus Wonderland and enjoy these fantastic offers on your favourite bingo games. This Bingo promotion will be applied to 21 different games across 21 days, kicking off with Dynamite Digger on 7th December and ending with Conjuring Cat on December 27th. Why not get set to be electrified on Lord of Lightning, where Zeus zapping the reels could land you a big win in a flash. Or how about taking a risk and visiting the forbidden Tiki Island in search of success across the slot’s five reels? Stake £10 and get £5 everyday on a host of different and exciting Bingo games in what truly is a £300k bonus wonderland. Opt-in required. Min £10 stake, max £5 bonus with 30 x wagering. Bonus expires 24 hours from issue. Qualify for 1 promotion per day. Game, currency, location, player restrictions & terms apply. Anis grew up supporting Manchester City but found joy and solace across Europe’s major football leagues. Increasingly passionate about NBA, he is interested in and has written extensively about different aspects of sport across the years, previously working at Sky Sports News and Sport360 newspaper in Dubai. He studied Journalism at University but spent a large portion of his academic years building City Watch instead - the largest independent Manchester City Twitter account and website.